Protecting the security and privacy of your Personal Information is important to Carolina Chem-Strip and to the way we conduct our business in compliance with laws on privacy, data protection and data security. We hope the policy outlined below will help you understand what information Carolina Chem-Strip may collect, how Carolina Chem-Strip uses and safeguards that information and with whom we may share it. This policy may change from time to time so please check back periodically. Through our Web site, Carolina Chem-Strip will not collect any personally identifiable information about you (e.g., your name, address, telephone number or e-mail address (“Personal Information”)), unless you voluntarily choose to provide it to us (e.g., by registration, survey). we (or a third party on our behalf) may use Personal Information to contact you about an Carolina Chem-Strip offer in support of your business needs or to conduct online surveys to understand better our customers’ needs and profiles. Any information submitted to Carolina Chem-Strip through the Feedback utilities in this site will be considered non-confidential and Carolina Chem-Strip reserves the right to use and reproduce such information and/or disclose it to other parties without restriction. 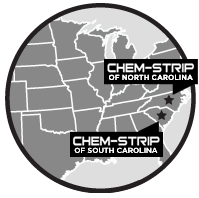 Carolina Chem-Strip takes reasonable precautions to ensure the security of your Personal Information and protect it from loss, destruction, falsification, manipulation, and unauthorized access or unauthorized disclosure. Our web site contains links to other web sites that are provided as a convenience only. Carolina Chem-Strip is not responsible for the privacy practices or the content of other Web sites, and you are subject to the privacy and use policies of the new sites you link to through the Carolina Chem-Strip site. We takes the steps to ensure that our processes do not harm the enviroment. 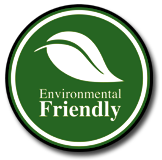 We endeavor to be a responsible corporate steward and encourage eco-friendly business practices.